Ottawa immigration and refugee lawyers at Gerami Law PC represent clients through their refugee claim process, prepare them for questioning at their hearing, and make effective and persuasive oral submissions on their behalf before the Refugee Protection Division Board Member. Our lawyers provide advice and gather the necessary facts, information and documentary evidence to support and frame our client’s refugee claim. We also provide guidance to our clients on the kind of personal documents and evidence the RPD will require, in an effort to maximize their chances of a positive refugee decision. At the refugee hearing the Board Member will question claimants on all the details of their case, and to the extent that those details can be supported by personal documentary evidence, the Board Member is more likely to accept the claimant’s story. Our lawyers will also conduct extensive research to support our client’s case with the most up to date materials from reliable sources. We consider preparation for refugee hearings to be absolutely essential. As such, our lawyers will take the time to do a preparatory session, where we will pose the kind of questions that the claimant can expect to receive from the Board Member at the hearing. This practice both assists with reviewing the essential elements of our client’s claim, provides reassurance and increases their confidence for their big day at the hearing. Our lawyers will assist clients (refugee claimants) through the eligibility process of their refugee claim. We will advise them on their rights and responsibilities, and explain the powers vested in the examination officers as prescribed in the Immigration and Refugee Protection Act (IRPA). If the claim is made at the port of entry, the basis of claim and narrative forms must be filed with the Refugee Protection Division (RPD) within 15 days. If the individual makes an inland claim, the IRPA prescribes that an officer shall, within three working days after receipt of a claim determine whether the claim is eligible to be referred to the Refugee Protection Division. Our Lawyers are well versed and experienced in dealing with convention refugee cases. 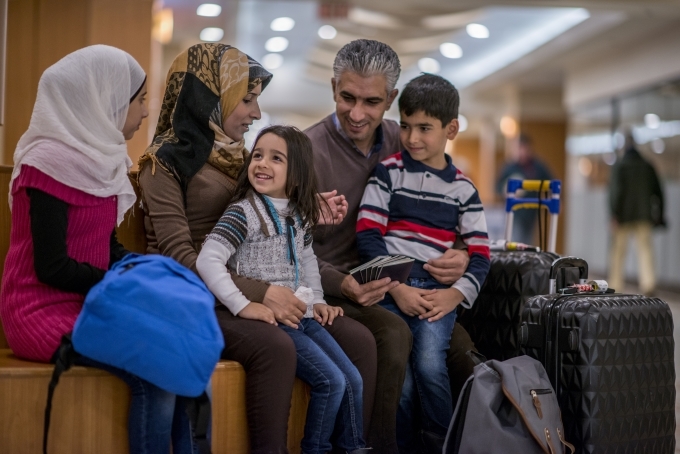 Canada has an international obligation under the Refugee Protocol to provide safety and protection to asylum seekers, and we are determined to provide strong advocacy to our clients who fall under this immigration category. In some cases our clients may be deemed by the Immigration and Refugee Board as not falling within the meaning of a Convention Refugee as stipulated in the Immigration and Refugee Protection Act (IRPA). Safe Third Country Agreement is an agreement dated December 5, 2002 between the Government of Canada and the Government of the United States of America, and was made for Cooperation between the two states in the Examination of Refugee Status Claims from Nationals of Third Countries. This agreement stipulates that refugee claimants who happen to have already put forth a claim in the U.S. and are subsequently arriving in a Canadian port of entry from the United States are not eligible to claim refugee protection in Canada unless they fall within the Exclusion Clause bracket. At Gerami Law PC, we are knowledgeable on the Safe Third Country Agreement and will assist clients who have arrived in Canada through the U.S. and are subjected to Safe Third Country Agreement constraints. We examine our client’s case to see if it falls within the exception clauses bracket, such as whether they already have family members with legal status living in Canada.